“Shades of green” – this is what comes to my mind first when I think of Kerala, “God’s own Country”, my beautiful homeland. Traditional wisdom suggests that, anything you love, be it – a person, place or thing, appears to be more dear or beautiful in your mind when it’s taken away from you. As a Non Resident Indian (NRI) living in Bahrain for 9 years, I can very well relate to that. But every time when the plane is about to land, the aerial view of Kerala, shows me time and again, that even the vibrant Kerala in my nostalgic imagination, is only a washed out version of the original! Come June, the monsoon season starts in Kerala. And that is also when I miss Kerala the most. The symphony of raindrops can vary from a soothing lullaby that comforts you to a longing pain that pierces your heart. Lush green Kerala during monsoons, reminds me of a gorgeous woman, draped in a custom made gown that accentuates her best features! If you visit Kerala during monsoon season, you will agree with me when I say that Mother nature is reinventing herself in the scenic beauty of Kerala. Kerala never fails to amaze her visitors. 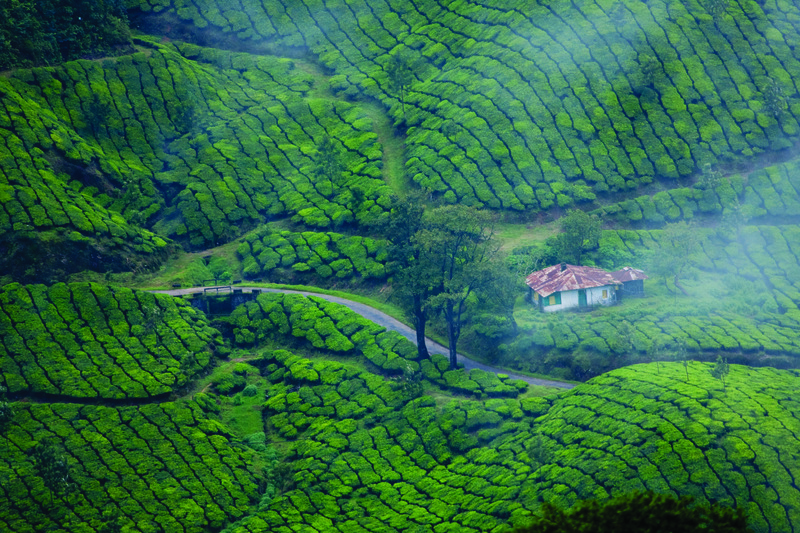 A traveller’s paradise,Kerala has something for everyone. It doesn’t matter whether you seek the thrill of wildlife adventures, rejuvenation in Ayurvedic massages, solitude in the serene hill stations, cruises along the rippling backwaters, or spicy fireworks on the palate, Kerala has mastered the quintessential magic to make you fall in love with her. I feel proud to be a part of one of the most progressive states in India – be it in education, health or quality of life. And we take our star ranking in education pretty seriously, considering the fact that we tend to wear our “know it all” cloak regularly to give our opinion, solicited or otherwise, on anything and everything under the sun. Being true advocates of democracy, we make sure not to force our opinion on you, you have a choice to take it or leave it, we only exert our right to give an opinion. I sometimes think Kerala is a land of paradoxes. Though we keep our right hand firmly on the fast forward button, up to date with modern day advancements, we keep our left hand free, to press the pause and rewind button occasionally, when it comes to preserving our culture and traditional values. For example, Kerala is not considered a business friendly state primarily due to the strong presence of trade unions the remnants of a socialist / communist era, but many Malayalis are top contenders in the Forbes list of wealthy entrepreneurs. Also, we feel very secure in our skin and don’t mind laughing at ourselves every now, and then, but it has to be done by one among us. These are some of the contradictions that you can find in Kerala. At the end of the day, in spite of all our little idiosyncrasies, we are God’s very own country and people. I feel truly blessed to be born in a place known for it’s rich heritage and warmth of the people. I’m proud to call myself a Malayali and I cherish the experiences and memories that connect me to Kerala. One of the many blessings of being a Malayali is that you are never alone, regardless of the shore towards which your life’s boat sails. On that shore you are bound to be greeted by a fellow Malayali, as we are present in more or less, every nook and corner of the world. As I said earlier, you can easily take a Malayali out of Kerala, but can never ever take Kerala or for that matter coconut, out of a Malayali. Being a food blogger for over eight years, I like to believe that I’ve developed a sophisticated palate and a taste for international flavours, but honestly, even today, nothing makes my body and soul as happy as a steaming plate of rice porridge with a side of coconut chutney. Well, food blogger or not, I’m a Malayali and nothing is more sophisticated to me than rice and coconut, period.